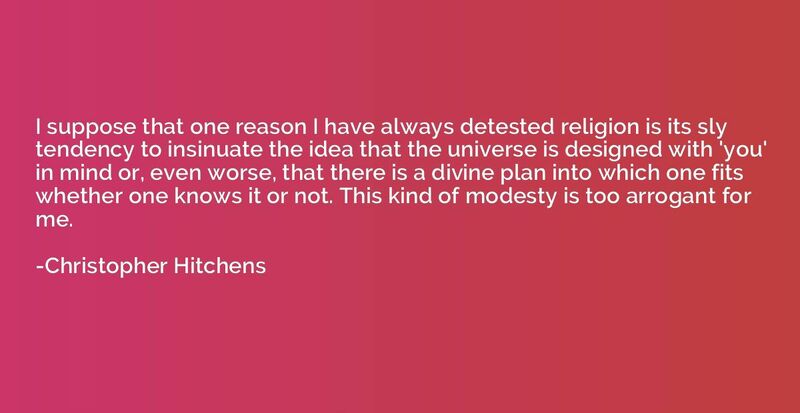 Of all the major religions, or lack thereof, the atheist's is one of the best pretenders: his foundation for all existences, as well as moral behaviors for the permanent good of mankind, begins at science but ends at himself, the Napoleon complex of both intelligence and imagination. 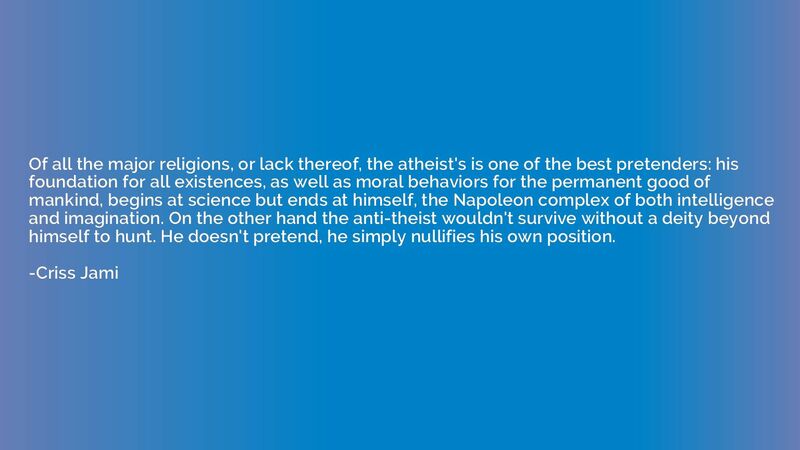 On the other hand the anti-theist wouldn't survive without a deity beyond himself to hunt. He doesn't pretend, he simply nullifies his own position.